A few years back around Thanksgiving I did a series of blog posts with some fun facts about that noble bird, the Wild Turkey. And as families gather together to break bread and give thanks I thought besides just filling ourselves with wonderful food, I’d try to fill our birding brains with some info about this great Upland Game Bird. Only found in North America, the Wild Turkey has 6 distinct sub-species that I’d like to share. This was the turkey species Europeans first encountered in the wild: by the Puritans, the founders of Jamestown, and by the Acadians. Its range is one of the largest of all subspecies, covering the entire eastern half of the United States from Maine in the north to northern Florida and extending as far west as Michigan, Illinois, and into Missouri. In Canada, its range extends into Southeastern Manitoba, Ontario, Southwestern Quebec (including Pontiac, Quebec and the lower half of the Western Quebec Seismic Zone), and the Maritime Provinces. They number from 5.1 to 5.3 million birds. 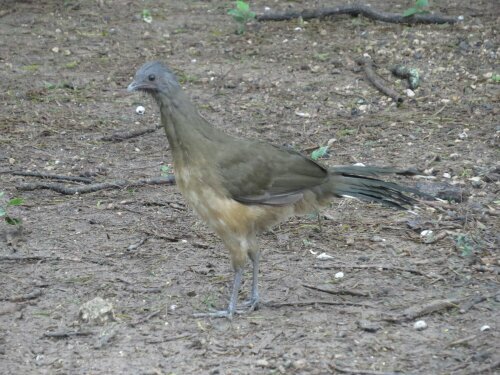 They were first named ‘forest turkey’ in 1817, and can grow up to 4 ft (1.2 m) tall. The upper tail coverts are tipped with chestnut brown. Males can reach 30 lb (14 kg) in weight. The eastern wild turkey is heavily hunted in the Eastern USA and is the most hunted wild turkey subspecies. 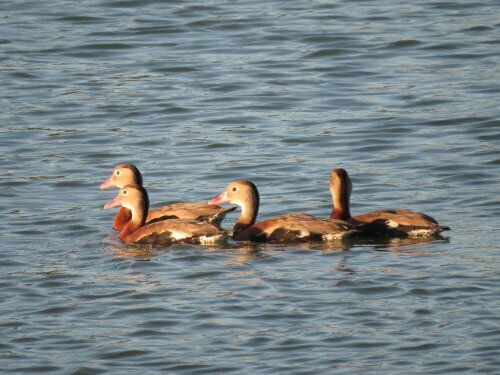 Most common in the Florida peninsula, they number from 80,000 to 100,000 birds. This bird is named for the famous Seminole leader Osceola, and was first described in 1890. It is smaller and darker than the eastern wild turkey. The wing feathers are very dark with smaller amounts of the white barring seen on other subspecies. Their overall body feathers are an iridescent green-purple color. They are often found in scrub patches of palmetto and occasionally near swamps, where amphibian prey is abundant. The Rio Grande wild turkey ranges through Texas to Oklahoma, Kansas, New Mexico, Colorado, Oregon, Utah, and was introduced to central and western California, as well as parts of a few northeastern states. It was also introduced to Hawaiʻi in the late 1950s. 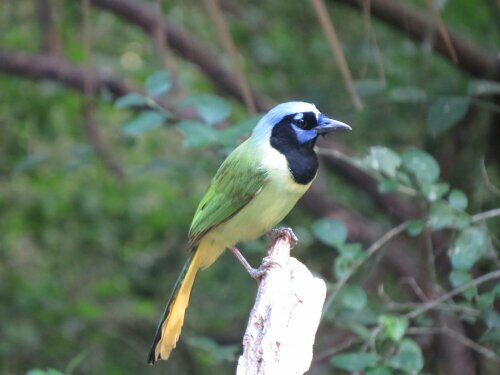 Population estimates for this subspecies range from 1,022,700 to 1,025,700. This subspecies, native to the central plain states, was first described in 1879, and has relatively long legs, better adapted to a prairie habitat. 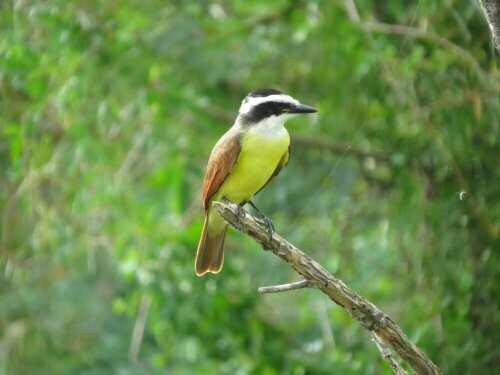 Its body feathers often have a green-coppery sheen. 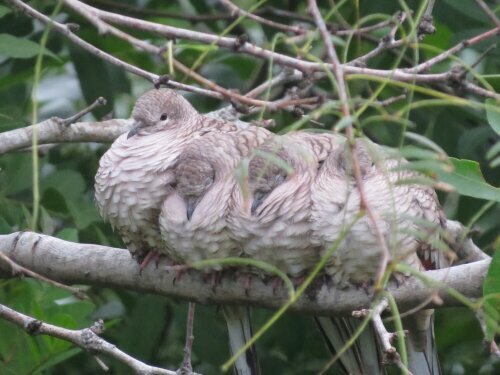 The tips of the tail and lower back feathers are a buff-to-very light tan color. Its habitats are brush areas next to streams, rivers or mesquite, pine and scrub oak forests. The Rio Grande turkey is gregarious. The Merriam’s wild turkey ranges through the Rocky Mountains and the neighboring prairies of Wyoming, Montana and South Dakota, as well as much of the high mesa country of New Mexico, Arizona, southern Utah and The Navajo Nation, with number from 334,460 to 344,460 birds. The subspecies has also been introduced into Oregon. The initial releases of Merriam’s turkeys in 1961 resulted in establishing a remnant population of Merriam’s turkeys along the east-slope of Mt. Hood and natural immigration of turkeys from Idaho has established Merriam’s flocks along the eastern border of Oregon. Merriam’s wild turkeys live in ponderosa pine and mountainous regions. The subspecies was named in 1900 in honor of Clinton Hart Merriam, the first chief of the U.S. Biological Survey. The tail and lower back feathers have white tips and purple and bronze reflections. Native from the central valleys to the northern mountains of Mexico and the southernmost parts of Arizona and New Mexico. Gould’s wild turkeys are heavily protected and regulated. The subspecies was first described in 1856. 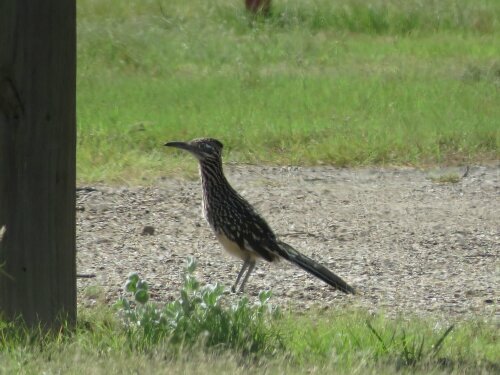 They exist in small numbers in the U.S. but are abundant in northwestern portions of Mexico. A small population has been established in southern Arizona. Gould’s are the largest of the five subspecies. They have longer legs, larger feet, and longer tail feathers. The main colors of the body feathers are copper and greenish-gold. This subspecies is heavily protected owing to its skittish nature and threatened status. The south Mexican wild turkey is considered the nominate subspecies, and the only one that is not found in the United States or Canada. In central Mexico, archaeological M. gallopavo bones have been identified at sites dating to 800–100 BC , . It is unclear whether these early specimens represent wild or domestic individuals, but domestic turkeys were likely established in central Mexico by the first half of the Classic Period (c. AD 200–1000). Late Preclassic (300 BC–AD 100) turkey remains identified at the archaeological site of El Mirador (Petén, Guatemala) represent the earliest evidence of the export of the Mexican turkey (Meleagris gallopavo) to the ancient Maya world. The Mexican subspecies, M. g. gallopavo, was domesticated, either in Mexico or by Preclassic peoples in Mesoamerica, giving rise to the domestic turkey. The Spaniards brought this tamed subspecies back to Europe with them in the mid-16th century; from Spain it spread to France and later Britain as a farmyard animal, usually becoming the centerpiece of a feast for the well-to-do. By 1620 it was common enough so that Pilgrim settlers of Massachusetts could bring turkeys with them from England, unaware that it had a larger close relative already occupying the forests of Massachusetts. It is one of the smallest subspecies and is best known in Spanish from its Aztec-derived name, guajolote. This wild turkey subspecies is thought to be critically endangered, as of 2010. All this information was copied from the internet. So my question to all my loyal readers, how many different sub-species have you seen? For myself, and just recently been birding in Texas, that would be 2 for me. In closing I’d like to leave you with one of my favorite hymns that always seems to pop into my head this time of year. Well the 2015 version of the Rio Grande Valley Birding Festival (RGVBF) is over and from the perspective of this first timer it was a huge success. The whole festival was well organized, and despite a few hiccups, (which is to be expected) I would fly back in a minute to try out some other field trips. The volunteers and field trip leaders were top notch and were so helpful and eager to answer any question you might have. But the main attraction was the birds. This is sensory overload on a birding level I’ve not experienced since the first time I went to Magee Marsh during Spring migration years ago. And now that I’ve been home for a few days, I’ve been busy logging all the birds into eBird, plus selecting and editing the photos I’m going to use for the blog. I wish I had a few more photos of some of the great raptors that inhabit the valley, but they can be difficult to get pictures of. Some of the raptors seen were through the window of either a bus or a van, and if you’ve ever tried to photograph anything through a window you already know that the result are usually poor. South Texas is a sub-tropical brush country, with the majority of vegetation comprising of Mesquite, small Live Oak, Yucca, Post Oak, Prickly Pear Cactus, Catclaw, Blackbrush, Huisache, and Guajillo. The vegetation is relatively low so straining your neck to view birds in high trees is usually not a problem except in areas around water. What this vegetation lacks in height it makes up in density. A bird could be calling at eye level just 5 feet from you, and you’ll never see it. It’s definitely a different kind of birding. 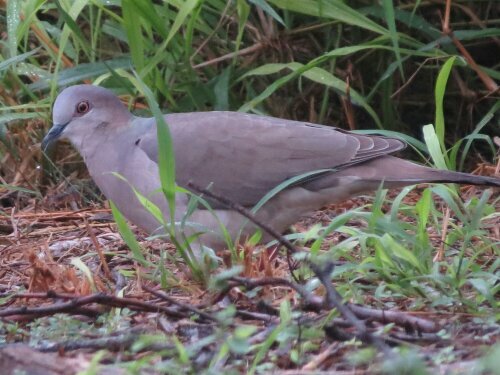 Besides my regular field trips which took me to King Ranch, Laguna Atascosa NWR, Bentsen-Rio Grande State Park, and some prime spots in the upper valley, I also went to Estero Llano Grande State Park, Sabal Palm Sanctuary, South Padre Island, and Anzalduas Park. I drove and birded along Routes 48 and 100 looking for species of birds to add to my list or to just take a photo of. It truly was a once in a life time trip for me, and if you ever have an opportunity to travel there, either for the festival or bird on your own, you’ll not be disappointed. So after going over the multitude of lists, and getting everything organized, here is a list of all the birds I saw at the festival. The list will be intermixed with some of my better, and not so good pictures. So after tallying up all the birds I feel another trip is in order. There are so many birds down there that haven’t been ticked off yet, and all I would need is a few extra days to find them. However reality is a vicious mistress and I have to settle with what I have for the time being. So if my math is correct I saw 168 species with 57 new life birds. Despite the fact this far exceeded my expectations when it came to “Life Birds” for the trip, I feel cheated somewhat. Somehow I feel the structure of the tours provided by the festival prevents a birder who isn’t used to birding with a large group from fulfilling the birds that could’ve been sighted. Maybe I’m getting old and stuck in my way of birding, but when you’re out with another birder, the two of you can do so much better than when a van or bus pulls up and off-loads large groups of birders. The direct advantage of large groups is more eyes on the birds, which in turn produce more birds to be seen, however what’s missing is the stalking of the bird hidden in the dense undergrowth. The “Chip” note that goes undetected by a large group. The quiet! Silence can be golden and some feel this is their socialization time, and trying to discern a faint call from all the talking can be bothersome. Despite this editorial I would attend this festival again. I know what to expect and would adjust. I meet people who I really liked and would love to contact again. 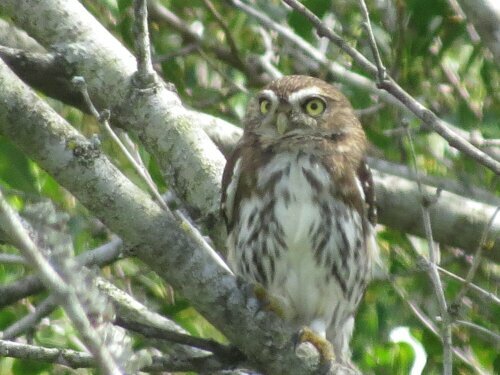 The tours were great and where else would you find a Ferruginous Pygmy-Owl except at a festival like this. However give me a week with Jon down there and we’d clean house. Well it’s finally over and boy am I exhausted. But it’s a good kind of exhausted and a once in a life time experience. 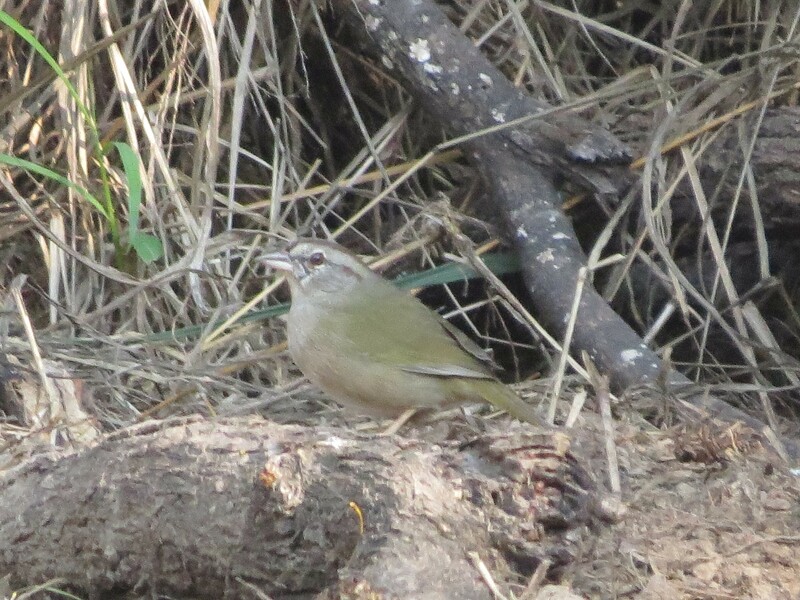 The birds were nothing but phenomenal, while all the staff and trip leaders were all very nice and helpful. Today’s trip took us once again down to the border with Mexico and we went to Bentsen Rio Grande State Park. This is just another example of a superior park developed for us nature loving bird watchers. This trip there were only 11 attendees along with 2 leaders, so this was a more personal trip where everyone had ample opportunities to see the birds without having to battle a large crowd. This trip bagged me 3 more life birds, an since I’m leaving tomorrow afternoon I really don’t think I will find any more new birds. Laguna Atascosa is massive. I once thought that Ottawa N.W.R. was large but when we started our tour in our customary tour bus you knew we were in for something special. After a long drive on a single lane road the place really opened up when we came into view of the Laguna Madre. The Laguna Madre is the area between the mainland of Texas and barrier island of South Padre Island. We saw ten of thousands of various ducks and other wading birds as we drove a short while, then stopped and everyone got out of the bus to look at the birds. This process of starting and stopping wasn’t quite my cup of tea of birding, however when you have a large group this is probably the best way to do it. I think the best way to really cover any refuge of this size would be on the back of a bicycle. 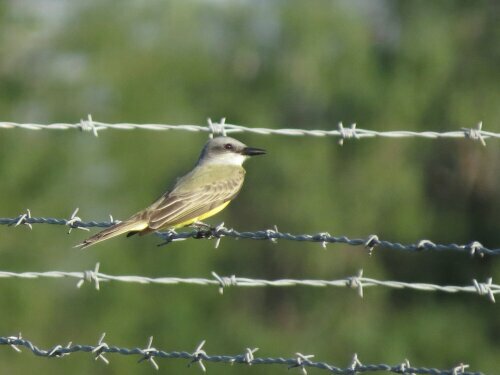 After this field trip was over I drove to Anzalduas Park on a hot tip from my bus buddy on a Greater Pewee that has been there for a few days. It was another full day with just one more left. This morning we travelled to the fabled King Ranch Norias Division, which is the second largest division of the whole ranch. And if you would put the whole ranch together it would be larger the Rhode Island. And if you’re at the RGVBF one of the main reasons you go to King Ranch is to see the Ferruginous Pygmy Owl. And boy did the group work har to try and locate this elusive bird. Our leader is in charge of all eco-tourism tours for the ranch. While as a grad student he worked on the ranch studying the birds on the ranch. He was approached by the ranch to head up the eco-tourism branch that the ranch offers. It was a pretty successful day and when it was finally over myself and birding friend from Kentucky, Gene Dennis, drove over to Sabal Palm Birding Center. It was at Sabal Palm where I had a little more success. Todays field trip took us 2 hours by bus up the Rio Grande valley in search of habitat specific birds that differ from the tropical lower valley. It was still another hot day but the air seemed drier and the birds were harder to pick up on. 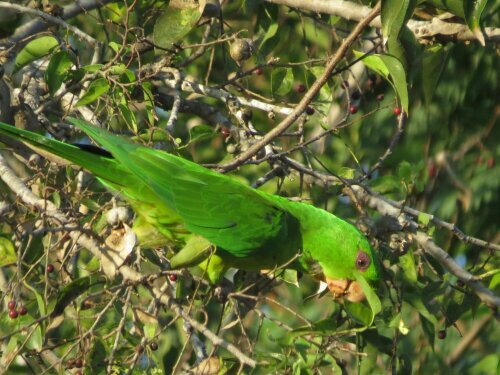 After this trip I waited around for another field trip that involved 4 vans driving around town looking for roosting Green Parakeets and Red-crowned Parrots.